JSMS-xxxD Digital Overhead Stirrer designed to homogenization, emulsification and dispersion and mixing of fluids at high speed. 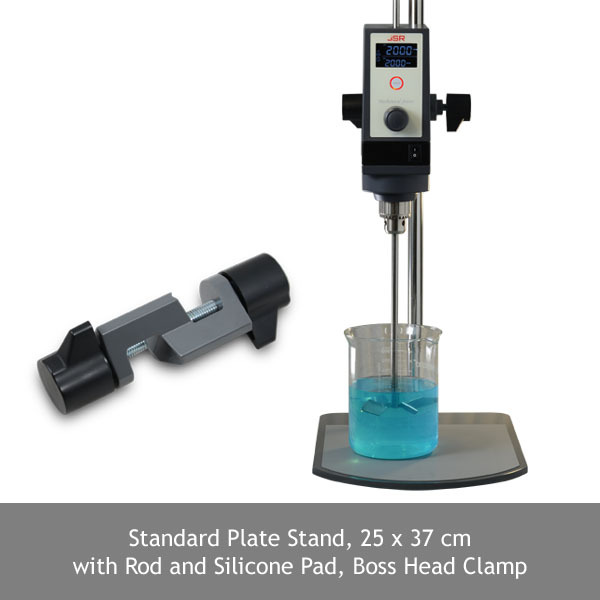 This compact and rugged Overhead Stirrer is user-friendly designed with convenient Jog-Dial and High Fidelity LCD Display. Advanced Fuzzy Control System maintaining accurate and consistent RPM and equipped with heat protection safety cut-off system. Gearless torque conversion mechanism ensure less heat generation and anti-trembling shaft guarantee vibration and noise free operation. 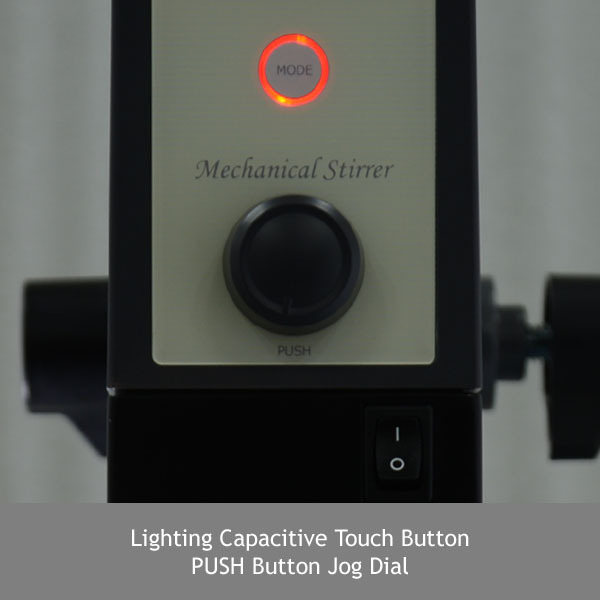 Easy-to-use Jog Dial for quick and convenient setting of stirring speed. Push to Run, Stop and Save value. 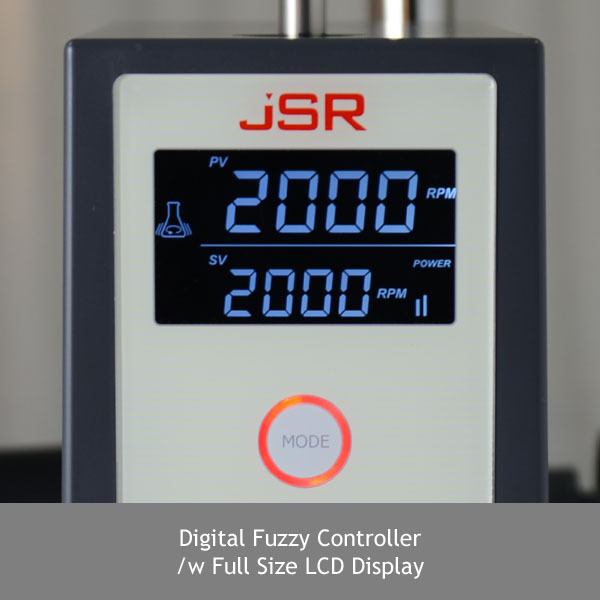 High-fidelity clear back light LCD displays complete setting and operating condition at a glance. Easy to monitoring set rpm, present rpm and time. Compact and handy design to fit all purpose. 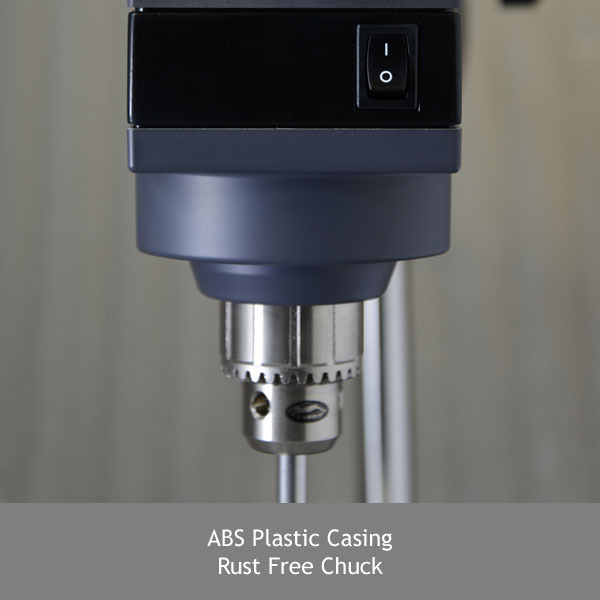 Main body made by aluminum casting with durable ABS Plastic. Stirring Capacity 25 to 60 liter H2O depends on model. Viscosity 70,000 ~ 150,000 mPas depends on model. Speed Range 800 to 2,000 rpm depends on model. Anti-trembling shaft ensure high speed stirring, vibration and noise free operation.